Calling all investors. 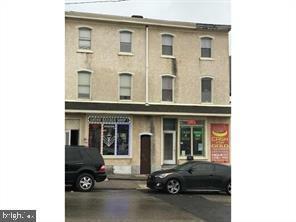 Great property with huge traffic count and exposure. Located a few blocks for the county court house. Commercial store first floor, apt on 2nd and 3rd floor. Also is in the Norristown Opportunity Zone which offers incentives to owner in the future. Check out the Norristown Website for more details.